Nokia 6234 is a 3G-enabled mobile phone that features 2-megapixel camera with 8x zoom which operational in landscape mode, a 320 x 240 QVGA color screen, digital music player, built-in stereo speakers with 3-D sound effects, MicroSD slot and a wide array of features and applications which take advantage of WCDMA mobile broadband services. 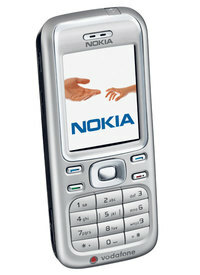 Nokia 6234 supports WCDMA 2100 / GSM 900/1800/1900 network and Bluetooth connectivity. 3G reviews Nokia 6234 cellphone for Vodafone and concludes that the handset fits a mid range niche rather well, and punches above its weight in terms of usability. The real annoyances, the lack of a front facing camera and memory shortage, will not bother everyone, and considering how low you can go on contract and get this handset for free, it may well be worth a look. This handset should appeal to those wanting 3G data access but not needing face to face video calling, and it is very comfortable to use. Not really recommended if you want to listen to music through your phone, though. Total score given is 84%.